Design Your Bike: We will build a bike frame utilizing reasonably traditional geometry (horizontal top tube or possibility of sloped, road like angles), using a lugged construction method for the lowest learning curve. In the first session we meet, we select the materials and tune the traditional geometry. Basic materials are included in the price of the class and you have the option to advanced materials, in which case the cost will adjust. 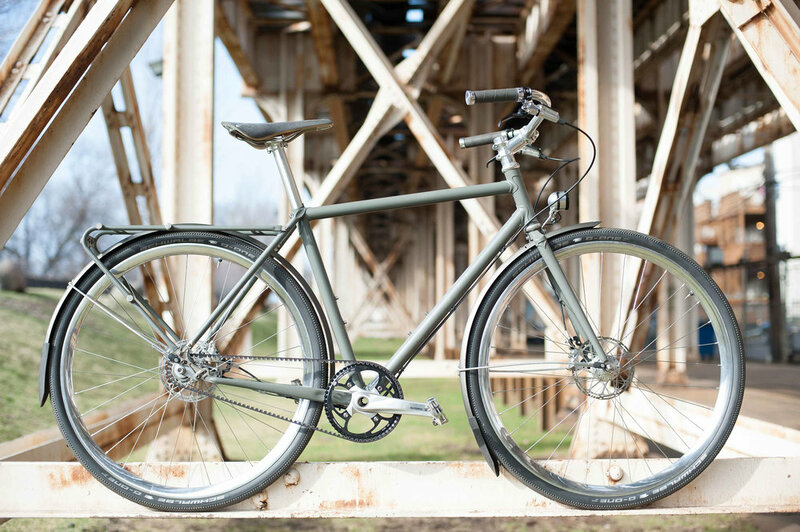 Customizations such as belt drive, adjustable dropouts and varying shift and brake styles can easily be incorporated into the design and material cost will adjust appropriately. Timing: Currently have openings for Spring/Summer/Fall of 2018. We will determine a schedule that works for you. You can choose between part time: full days or multiple days in a row spread over two months. Or, full-time: consecutive days over two weeks. Below, is the timeframe and curriculum for reference. Skill: If you enjoy making things, willing to learn, and don't mind getting a little dirty—that's enough. 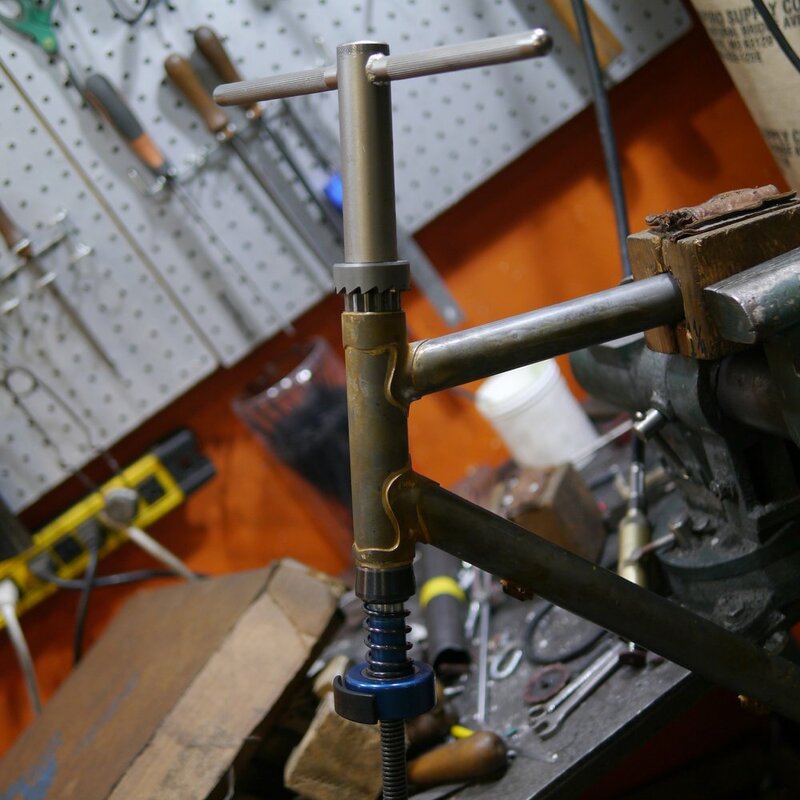 I will teach you how to braze and walk you through the entire process. Finishing: Power-coating: A single color, in-stock powder coat is included. I will powder coat the bike for you, as this is a special skill. 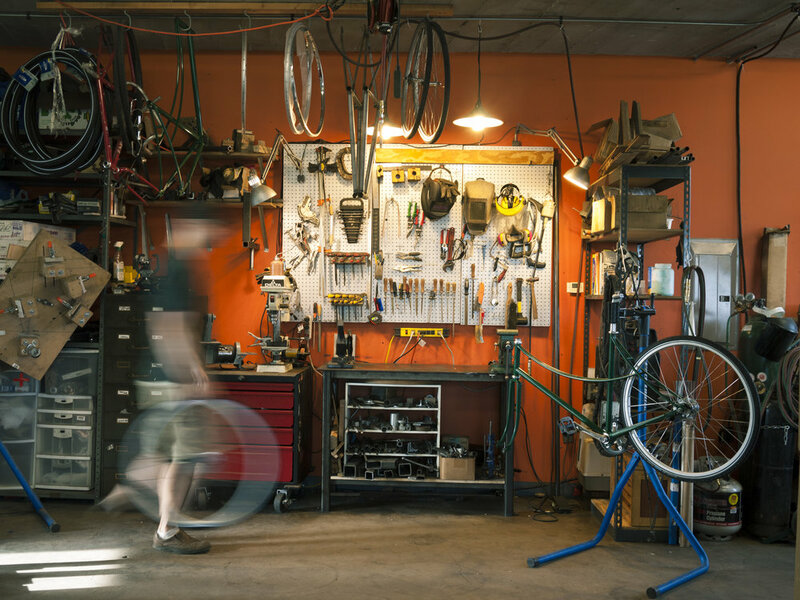 Components: Discounted retail parts can be ordered, if you choose to build the bike and you have access to the shop and tools to assemble your bike. Wheels: A wheelbuilding class can be added on for an additional fee, if desired. The class is 10–11 Instructional days and 2 Supervision Days. We will work with you on a schedule and can accommodate consecutive days or spread over two months. Supervision Days: You have access to the shop for finishing/cleanup work on you're own and I'm available for consolation and refreshers or quick lessons. $1,500 Deposit is due at time of registration. 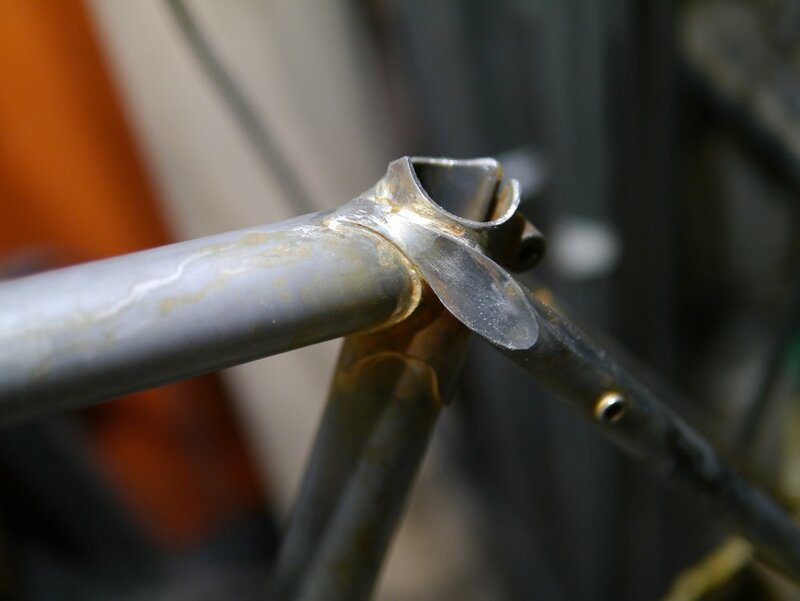 Read one of our student's, Neil, stories of building his own bike. We have openings for 1 on 1 frame building classes for Spring/Summer and Fall 2018. The Legacy Frameworks Workshop: "The Shop"